EPIC TV SERIES TRAILERS ARE IN! The series starts airing March 4th in Italy! 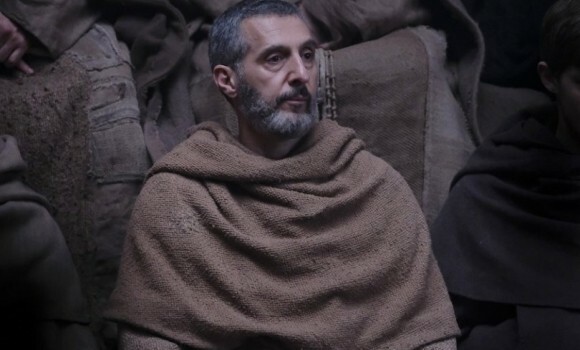 million spent on the production, the eight episode series really should not disappoint the audience. BBC will air the series in UK, Sky in Germany, OCS in France. Sundance TV will air it in USA and Canada, with local broadcasters airing it around Europe too. 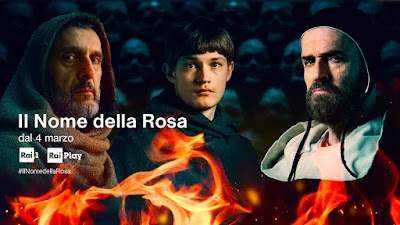 search for the killer, they are hunted themselves by the merciless inquisitor Bernard Gui (Rupert Everett), who prosecutes those who criticize the Pope. 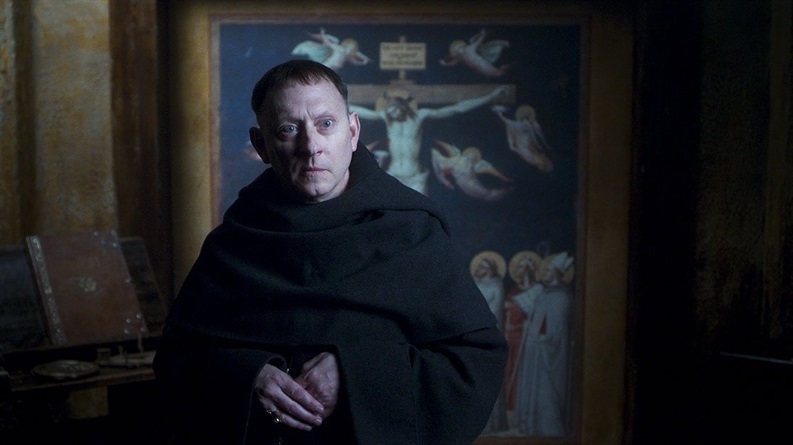 Michael Emmerson is the evil Abbot! Emerson will play The Abbot, an ambiguous, greedy, over sensitive and irritable prince of the Abbey! Gorgeous German actor Damian Hardung will be William's apprentice, Benedictine novice Adso. 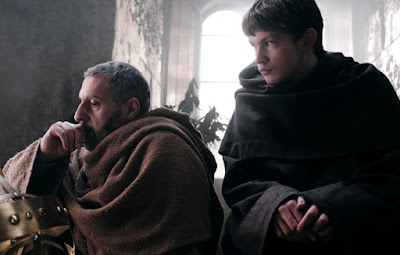 The cast will also include Sebastian Kock, Piotr Adamczyk, James Cosmo, Richard Sammel and our favourite Italian star Alessio Boni next to Greta Scarano.